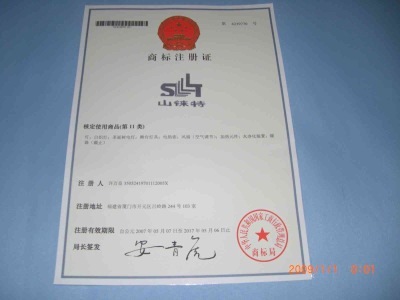 Company Overview - Fujian Sunlighte Optoelectronics Technology Co., Ltd.
11YRSFujian Sunlighte Optoelectronics Technology Co., Ltd.
Fujian Sunlighte Optoelectronics Technology Co.,Ltd. 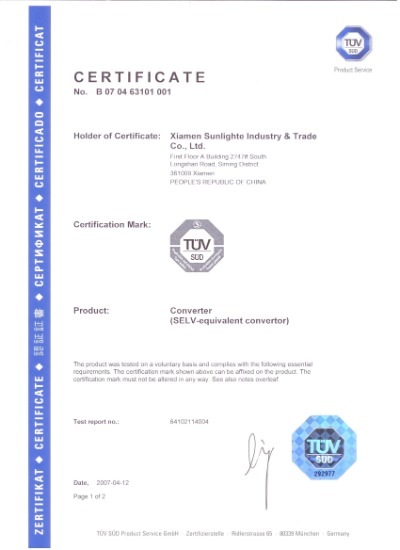 ( namely Xiamen Sunlighte Industry & Trade Co., Ltd.) , established in Mar. 2004, locates in the beautiful seaside garden city of Xiamen, on the south coast of Fujian Province in PRC. The world's top 20 shipping companies have all established major shipping routes and operations in Xiamen. A total of 68 shipping routes serve over 50 countries to almost all the major ports in the world, yielding an average 469 ship calls at the port each month. In addition, passenger services also operate from Xiamen to Hong Kong, Guangzhou, Shanghai and Wenzhou.Fujian Sunlighte Optoelectronics Technology Co.,Ltd. 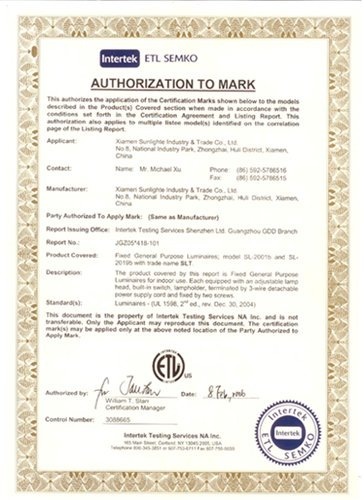 (namely Xiamen Sunlighte Industry & Trade Co., Ltd. ) is a professional lighting manufacturer in Display and Exhibition Industry, providing a comprehensive service in design, development, manufacture and sale of all kinds of display lighting. Sunlighte's expertise in design, production and quality control makes our lighting outstanding and welcomed all over the world, especially in the U.S., United Kingdom and other European countries. Besides display lighting fixtures, Sunlighte is also dedicated in the development of LED lighting and universal transformers, which fit the trends and needs of display lighting market. Our main products are display lighting, including halogen lights, low voltage lights, track lights and energy-saving lamps, with total 6 series in more than 200 models. 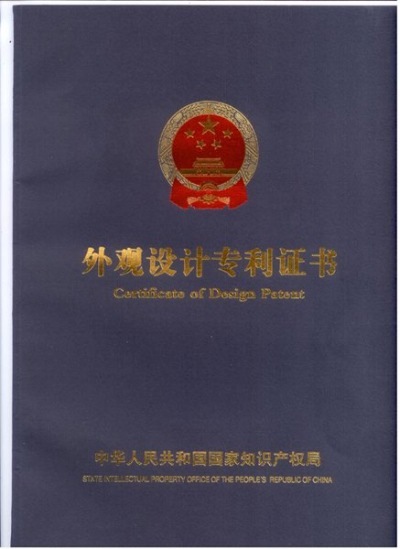 We have many new types of patent display lighting which are designed by our excellent technical team. Most of our products have received approvals of CCC, CE, VDE, UL and ETL.The Mission of Sunlighte is to become a Global Leader in developing Innovative and Superior Lighting Solutions for the Display & Exhibition Industry.We welcome all customers and friends to join us and visit us. Thanks! 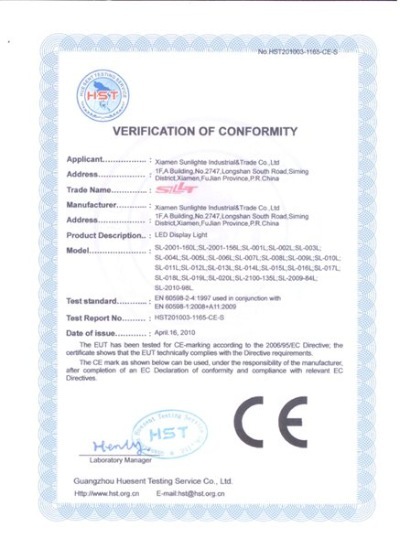 GuangZhou Huesent Testing Service Co., Ltd.